“As of February 2, infection rates for the 2017-2018 flu season were still rising, higher than those in any year since 2009, when the swine flu was pandemic, according to the Centers for Disease Control and Prevention. So what should we do to protect against the flu? Of course, there are common sense things like avoiding close contact with those who have the flu. We are also encouraged to wash our hands often. 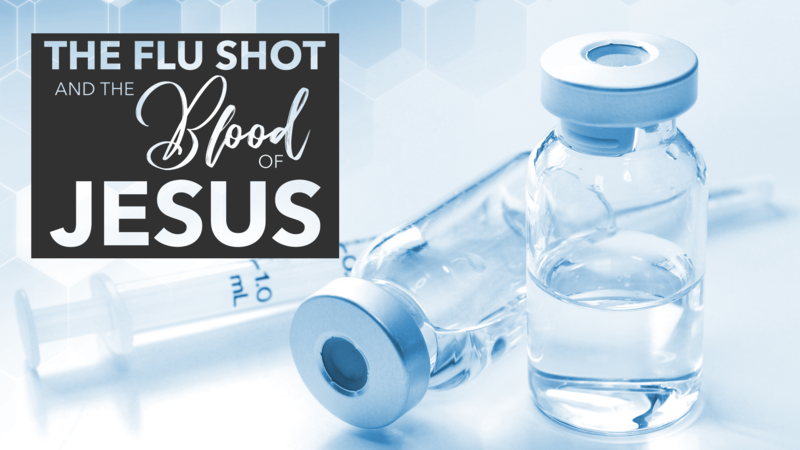 The evidence shows that the shot will reduce the likelihood of you getting the flu and spreading it to others. So, I get the flu shot every year and encourage you to do the same. “But I got the shot and got the flu anyway,” someone will say. And it’s true. The flu shot is not 100% effective. The data says it helps, but it’s not a guarantee. And that’s where my mind turned to the blood of Jesus. The truth is that we are all infected by the deadly “sin” virus. Left untreated, it will kill us all. But when by grace we trust Christ, “the blood of Jesus . . . cleanses us from all sin” (1 John 1:7). His sacrifice for our sin is 100% effective for all who repent and believe. He will not lose a single one of us to whom his blood is applied (John 6:37-40). Bottom line: it’s wise and loving to get the flu shot (yes, even this late in the flu season). It’s statistically likely to help. But it’s absolutely imperative that we repent and believe in Jesus. “In him we have redemption through his blood, the forgiveness of our trespasses, according to the riches of his grace” (Ephesians 1:7).